No one believes that a disability will happen to them. But, it happened to my mom. When my mother was young, she was a home health care aide for the local hospital. She enjoyed helping people – it was in her nature to care for those who could not properly care for themselves. But, she had no idea she would one day be sick herself, and unable to work as a caregiver. After my sister way born, my mother’s health started to decline. Her asthma got worse. She started having severe depression and anxiety episodes. Her body was always in pain, no matter what she did. We used to joke about the “pharmacy” that she carried around with her, but in all actuality, it was sad. My mother was young, but she felt like someone twice her age. Then, about 10 or so years ago, she was diagnosed with fibromyalgia. She finally had an explanation for her aches and pains. But, on top of that, her asthma had developed into COPD, even though she had never smoked a day in her life. She could barely get out of bed most days. Her depression was worse than ever. She would end up hospitalized every time she got sick, mainly with upper respiratory issues. Amid all her medical issues, she was no longer able to work full-time. Whenever she would land a job, a few months into it, she would fall ill and need to be hospitalized … then she would lose her job again. The cycle continued. Eventually, she learned her immune system was basically not functioning. But, without a job to provide proper health insurance, she had no coverage for the medication she needed. She applied for Social Security Disability Income, but was rejected – three times. It didn’t matter that her physicians had all written letters. It didn’t matter that she had significant proof she was unable to work full-time. It didn’t matter that her illnesses were expected to last over a year. I’m going to repeat that – she was unable to work full-time and her illnesses were expected to last over a year. That is the basic definition of qualifying for Social Security. But still, she was denied time after time. Finally, she agreed to hire an attorney. After more than a year and a couple hearings, she has finally been approved to receive Social Security Disability Income. She’ll have some money coming in each month and will no longer have to worry about insurance. She can start focusing on getting better and enjoying her grandchildren. Disabilities aren’t always visible. When your clients are picturing a disability, they’re thinking about breaking a leg and needing a wheelchair. In reality, most disabilities are due to illness, not injury. Invisible conditions can impact your ability to work just as much, or more, than a visible injury. People think Social Security will be there to help if they’re disabled. That’s not always the case. It’s vital to protect the one thing we all mostly take for granted: our ability to work. We may not be able to “fix” our Social Security system, but we can help people get the coverage they need when they’re too sick or hurt to work. As I said, no one believes a disability will happen to them. You may not always see them, and you probably never expect them, but disabilities do happen. Yes, long-term care insurance CAN be expensive. My first reaction when someone says this to me is to ask how long they waited to buy it (see previous post). Because, of course, too many people wait until they’re older and have more health considerations for underwriting. Which, of course, ups the price. This isn’t car insurance or home owner’s insurance. Actually, don’t think of it as insurance at all – think of it as another asset, or income protection. Your client pays a company a set amount of money, and in return they get access to a larger pool of money should they need it. Oh, and that money (when used for long-term care) is income tax free. It’s going to be there for your clients when they need it. In some cases, the financial return of long-term care insurance is pretty hard to beat. More importantly, the emotional return for your clients and their families is priceless. Are the assets you’ve earmarked for emergencies getting a high rate of return? Does your portfolio have enough liquid assets to be able to withdraw funds quickly? Would you be upset if your portfolio balance was depleted to pay for long-term care? Some people ask, “What if I never need it?” First of all, then you’re one of the lucky ones. Second, that money doesn’t go to waste – in many cases, it can pass on to your heirs. But, trust me, your children and grandchildren would rather you have a plan for care than a plan to give then an inheritance. The cost of NOT having a plan and having an event is much, much higher than what you would have spent on insurance. This isn’t the end of our discussion. Let’s keep talking long-term care. 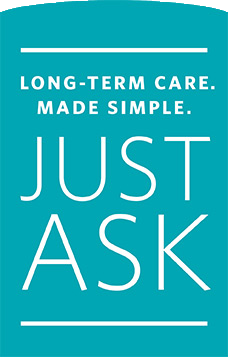 For more ideas on approaching the conversation, download your free long-term care discussion guide. And, if you haven’t already, sign up for our free educational email series on long-term care. You put long-term care at the bottom of your client agenda – again. You avoided it. You decided, “It can wait.” But can it really? Or, more importantly, what are the costs of waiting? The best time to create a plan isn’t 60 or 70. It’s actually 40 or 50. In fact, the average buyer is in their mid-50s. These clients are seeing their parents deal with extended care and it’s front of mind. They don’t want to pass that burden to their own children. Have you thought about the savings potential of buying a plan while rates are low? How would your family be impacted if something were to happen to you today? Would it give you peace of mind to have a plan in place, just in case? People have the tendency to look at retirement and long-term care as two separate issues. Why? Because they tend to look at long-term care as a place – a nursing home, assisted living, retirement community, etc. But it’s more of an event – an event that could wipe out your clients’ retirement savings. I would argue that the largest risk to a retirement plan is a long-term care event. So you can’t call yourself a retirement planner if you’re not addressing this risk. You need to put the pieces together. In a webinar I did with Tim Ash, we used our software to literally show the impact a care event will have on retirement plans. It’s astounding. The good news? This software can also help show the impact you can make by having a plan in place. Have you considered the tax consequences of liquidating an asset for an emergency? Are you aware most policies include care coordination to help with a written plan of action? Can the returns you get from today’s assets really outperform the leverage of an insurance policy? Yes, you have plenty to talk about during your client meetings. And you might feel like you don’t have time to add one more item to the agenda. Stop looking at long-term care as a separate issue. If you do nothing to address it, it’s a big risk to your clients’ portfolio. If your clients bring up Medicare or Medicaid as their fallback option for long-term care, make sure they truly understand what they’re getting into. Actually, make sure YOU understand what they’re getting into if they choose to rely on these programs. Medicare: Short-term rehabilitative care. To qualify, you must spend three nights in a hospital and be deemed rehabilitative. Only the first 20 days are covered in full. Your client will pay a copay for days 21-100. After that? They’re on their own. Medicaid: A federally funded, state-run welfare program for the impoverished. This won’t cover assisted living or in-home care. This is for nursing homes. Chances are, that’s not your clients first choice. Do you expect the government to pay for care for an extended period? Do you understand the limitations of Medicare and Medicaid? Is having control over your options important to you? Do you want to have any assets left? The M-Words are just one piece of the long-term care discussion.